Home Community Why Does Your Loan-to-Value Ratio Matter? Have you had your eye on a shiny new car lately? Do you want to take advantage of the equity in your home to make some much needed repairs? If your answer is yes, you’ve probably thought about how these purchases will impact your monthly budget. But have you thought about how the amount of money you need to borrow compares to the value of your purchase? If not, you may want to start because it’s one of the factors lenders will consider when deciding whether to approve you for a loan. The relationship between the amount of money you borrow, and the value of your purchase is also known as your loan-to-value (LTV) ratio. If you have a high LTV ratio, it means you have little to no equity in the product you’re buying. If you have a lower LTV ratio, it means you have a greater amount of equity in your purchase. The larger your down payment is, the lower your LTV will be. Your LTV ratio is calculated by dividing the amount of your loan by the value of the item you’re purchasing. For example, if you’re buying a house that’s been appraised for $300,000, and you take out a loan for $240,000, your LTV will be 80 percent. ($240,000 / $300,000 = .80 or 80 percent). Your loan-to-value ratio is one of several criteria lenders use when deciding whether to approve you for a loan when you want to buy a home, re­finance your existing mortgage or take out a home equity loan. In general, if you have a higher LTV, you represent a greater risk to the lender because you haven’t accumulated much equity in the property. So, if you were to default on your loan, the lender would be less likely to recoup its money. That’s why it’s common for lenders to require you to purchase private mortgage insurance (PMI) if your LTV is above 80 percent. It helps protect them if you’re unable to make your mortgage payments. In addition, if you have a high LTV, lenders may also charge you a higher interest rate to cover the additional risk they’re assuming. To help avoid paying PMI and improve your chances of qualifying for the lowest interest rates available, consider saving a down payment that’s equivalent to 20 percent of the purchase price of your home. If you want to re­finance your existing mortgage and your LTV ratio is greater than 80 percent, it’s likely you’ll still be responsible for paying PMI and higher interest rates. If you want to take out a home equity loan (HEL) or line of credit (HELOC), your loan-to-value ratio is critical because you’re borrowing against the equity you’ve accumulated in your home. Most lenders want the combined LTV of both loans to be 85 percent or less for a HELOC and 90 percent or less for a HEL. Many lenders also consider your loan-to-value ratio when you apply for an auto loan. 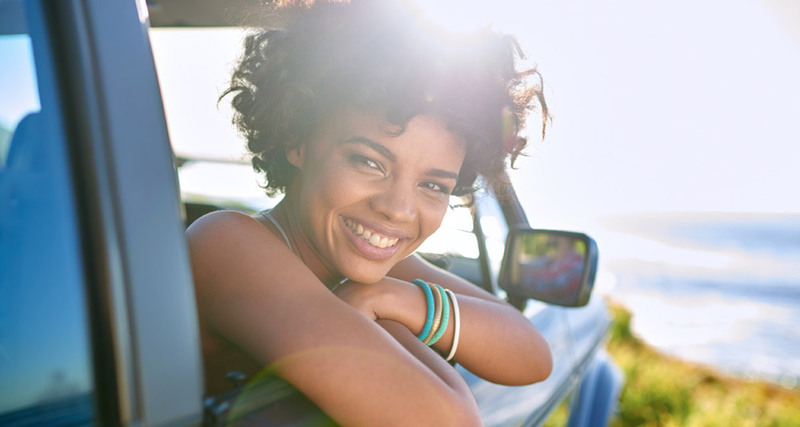 But unlike a house, which usually increases in value over time, a car typically decreases in value as soon as you drive it off the lot and continues to depreciate over time. This creates a greater risk to you because it increases the likelihood you’ll owe more on your loan than what the car is worth. This is especially true if you decide to sell the car or get in an accident where the vehicle is totaled before the loan is paid in full. In either of these circumstances, if your unpaid loan amount is greater than the actual cash value of the car, you may have to come up with the extra money to pay off the loan. This could leave you in an unstable financial situation. To help avoid such a scenario, it’s important to make a large enough down payment. Or to purchase Guaranteed Asset Protection (GAP) to help cover the difference if your insurance check isn’t enough and ensure your loan is paid in full. And secure a loan you can pay off in a timely manner, so you don’t fi­nd yourself in a position where you owe more than the car is worth. Visit Truliant.org to learn more about lending with Truliant. Schedule an appointment at any of our six convenient Forsyth County locations at Truliant.org/Locations, or speak with a specialist at 855-293-2957 to start your application by phone. Equal Housing Lender.